Preston the Puggle » Blog Archive » Happy 2012! 11 Responses to Happy 2012! Happy 2012, Preston! We loved this post. So many happy pictures! We especially love the ones of you and Nolan hard at work figuring out your toys! Nolan is just too cute! Oh we have missed you blogging Preston!! It is so nice to see you and your sweet brother Nolan bonding and now even going on adventures together! You sure got some neat-o stuff this year! I can’t believe you were recognized in Seattle as Preston the famous puggle! That is totally pawesome! you are a celebrity!!!!! We missed you blogging Preston!! holy cow preston! you and your baby brother made out with the presents this year!!!! that is so awesome someone recognized you at the yogurt place. youre so famous!!! 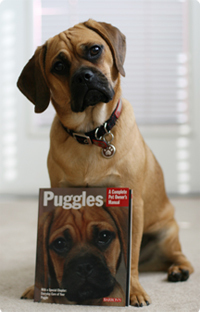 its nice to know you’re making a good name for puggles across the country!! were you at menchies? mommy loves that place. shes’ only been there once when she went to see bruschi and ebbys but she recognizes the spoon. looks like you and nolan had a great holiday! Btw, your snow adventure is perfect! We went up to Yosemite, but we were a week too early for snow. Wow – Nolan sure is a big boy now! And SOOOOO cute!! Love the picture of him as a Snow Angel…but I think my favourite is the one of him & you together in your matching pink outfits! Hmm, yes…very boyish – ha! ha! Your baby brother Nolan is so adorable. Looks like cuteness runs in the family! Your Xmas loot was awesome! You are definitely well loved! Cannot wait to her of new adventures! Happy new year! It looks like you had a wonderful holiday with your family. Nolan is so so adorable, and seems to be growing so quickly! You are still really cute too, Preston.